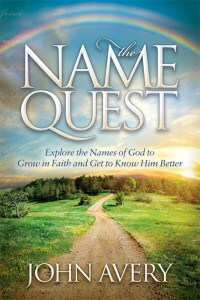 A study guide for The Name Quest to Help People Grow in Faith and in Relationship with God through His Names. Suggested answers are also available, but only on this site. Writing a Review or Sharing about The Name Quest. Scheduling a Sunday Message, Seminar, or Longer Teaching. Click on the image to order your copy. Select chapters and a Study Guide are also available for download.